Reporters without borders’ is an Non-Governmental Organization(NGO) located in Paris, France, that protects the freedom of the press and journalists who are in danger. According to the 2017 World Press Freedom Index Rankings released by the same organization, Korea’s ranking has recently started to rise after years of falling. In the ranking, Korea has reached 63rd, showing an increase of seven steps after being ranked 70th in the 2016’s rankings. Press Freedom Index is calculated by considering 50 factors, including regulations in the media and the treatment of journalists in each country. The ranking ranges from 1 to 180, with 5 different stages indicated by different colors. A country is marked white when its freedom of the press is considered to be in a good situation, followed by yellow, indicating a satisfactory condition. Countries that are marked orange through black are classified as nations that are having a problem in regards to their freedom of press; with orange being the less severe to black indicating that there is a serious problem. 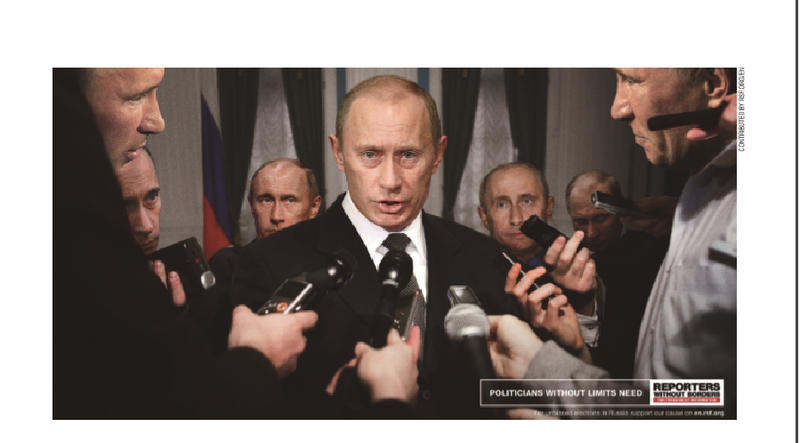 Freedom of the press is crucial to all democratic countries, as it plays a huge role in ensuring the people’s freedom. Korea’s current state of affairs (the impeachment of the former President Park) clearly serves as an example to show how large of a role the media plays in Korea’s democratic society. Korea’s standing in the World Press Freedom Index Rankings, which has been declining for several years, has recently started to rise. One of the main reasons behind this rebound can be inferred as the active role the press had in regards to the impeachment of the former President Park. As most Koreans are now aware, the media played an undeniably crucial role in exposing Choi Soon-sil to the public. From the initial disclosure of the content in her tablet PC and how the content matched with President Park’s speech, to continuous reportings of every single detail found, the media most certainly ensured the citizens’ ‘right to know.’ Through constant updates and discoveries by the media, the public was able to make their final decision, which was to impeach the president. If it were not for the truth uncovered by the media, many citizens would have lived their lives oblivious to what was going on around them. Like the word ‘democracy’ suggests, (‘demos’; meaning citizens who live in a particular city, and ‘kratos’; implying power or rule), the citizens should be the biggest source of power in a democratic society. Consequently, for the citizens to make an educated decision, they need the help of the media. The media, in turn, should deliver accurate news with a proper analysis of the matter at hand. “The media, metaphorically, is referred to as a watchdog. It fulfills the citizens’ right to know, while looking out for the misuse of power, whether in the economic or the political sphere,” said Professor Ryoo Woong-jae, from the Department of Media and Communication in Hanyang University (HYU). The Press Freedom Index is measured by using a questionnaire, which includes 87 questions along with the data on abuses and violence against media actors during the period evaluated, with a score ranging from 0 to 100. This questionnaire is given out to media professionals, lawyers, and sociologists around the world, after being translated into 20 languages including Korean. It evaluates criteria such as pluralism, media independence, media environment and self-censorship, legislative framework, transparency, and the quality of the infrastructure. Korea was ranked 60th in 2015, followed by 70th in 2016, showing the increase in control that is influenced over the media. However, it has been ranked 63rd due to its recent increase in media independence and transparency in the news delivered. 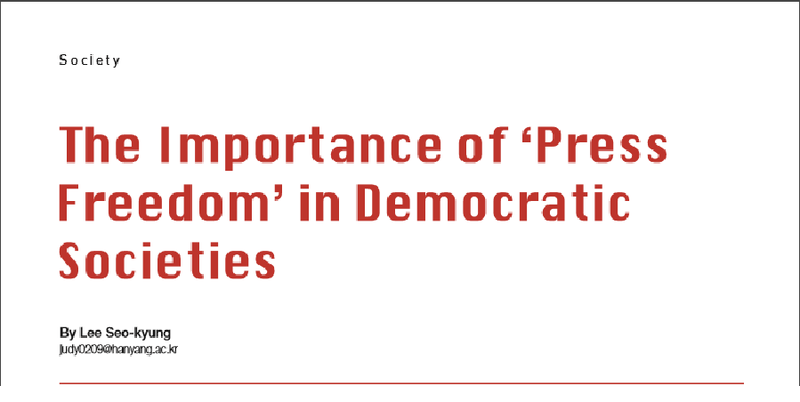 Also considering the role the press took during the political impeachment, there have been legislative movements to ensure the independence of the press from political interests. In order to attain complete freedom, the media has to try hard to be completely free from political and economic interests. They could do so by uniting together, accumulating power that can keep political and economic powers in check. Citizens should also be informed about the ways to discern fake news from real news and to what extent of faith they should have when accepting certain things they hear and see. Additionally, they have to actively educate themselves to develop the skill to differentiate objective facts from biased information. As can be seen from the example that Koreans experienced a couple of months ago, the freedom of the press greatly influences the development of a democratic society. Thus, people all over the world should strive to make an environment where the freedom of speech and the right to know can be completely guaranteed.